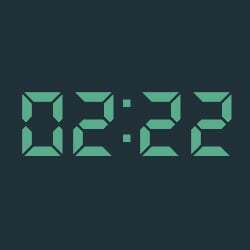 Reverse mirror hours of the 01:10, 02:20, 03:30... type, we also have a meaning with the angels. What is a Mirror Hour ? A “Mirror Hour” is an hour with double figures. It usually shows itself to you accidentally when you look at your phone, your watch, or any other device which shows the time in a digital format. This can give you a strange feeling, especially when the same double hour appears to you regularly. A mirror hour is made up of numbers which match those of the minutes, for example, 11:11. This phenomenon is closely linked to numerology and astrology, as well as to the idea of Synchronicity which was discovered by Carl Gustav Jung, the Swiss psychiatrist (1875 - 1961). 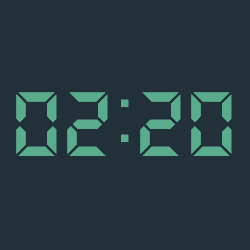 The use of digital clocks has highlighted the 24 mirror hours that appear to us each day. These are: 01:01 02:02 03:03 04:04 05:05 06:06 07:07 08:08 09:09 10:10 11:11 12:12 13:13 14:14 15:15 16:16 17:17 18:18 19:19 20:20 21:21 22:22 23:23 and finally 00:00 With 01:01 being the first mirror hour and 00:00 being the last, each hour has its own meaning or message. These can be revealed to us through an interpretation of the angels with the help of Doreen Virtue; through numerological calculation; or through an astrological reading in connection with the Tarot cards of Marseilles. Synchronicity and The Mirror Hour. Synchronicity is part of the analytical psychology developed by Carl Jung. It refers to the simultaneous occurrence of two events which, although seeming to have no direct causal links between them, once associated gain a meaning for the person who observes them. This idea of synchronicity must be considered part of a collective unconscious made up of archetypes. Jung observed that certain patients had a life which was completely regulated by the time, their dreams, or by a specific “theme”. Everyday synchronicities pose a real challenge to the idea of causality. When we experience a moment of synchronicity, it can make us feel uneasy, or give us access to another viewpoint of the paradigms which surround us. At 13:13, for example, you might receive a message or a phone call from someone you were thinking about! The number will most likely call out to you quite strongly, which is completely normal! That is the nature of a synchronicity; it will strike you as a matter of course. Sometimes the message is clear and sometimes it is not clear at all. Why did I see a Mirror Hour ? A mirror hour can appear to you for many different reasons, and it is always very personal. Here are the different meanings which can be taken into account to explain the appearance or repeated appearance of a mirror hour. The study of guardian angels tells us that the hours on the clock are a method by which these spiritual beings can communicate with the material world. The works of Doreen Virtue allow us to share with you the angelic message corresponding with each mirror hour. If you often see the same mirror hour in your daily life then that could mean that your angel is trying to make itself known to you. Look for other potential signs because they are definitely trying to warn you or protect you from something dangerous. As we mentioned earlier, synchronicity moves in the collective unconscious. 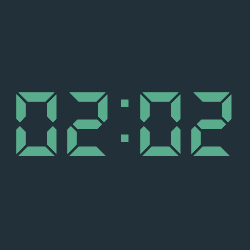 If you often see the same double hour, this could mean that someone is having strong feelings about you. To understand the nature of these feelings, take some time to identify the sensations that you feel at the moment when you see the hour. You will then be able to figure out if this person fills you with a positive or a negative energy. Just like an angel, an entity could be trying to get in contact with you. It could be somebody who has passed away, or a spirit that wants to guide you. Either way you should pay attention to the nature of this entity. If you see a mirror hour in a “supernatural” context you should quickly go and see a medium. It could be what is known as a poltergeist or the manifestation of an evil spirit. When we face difficult challenges in our lives, we look for answers to our questions. The art of divination often allows us to have a better picture of the future and analyzing the mirror hour can give you certain keys to your destiny. Just like analyzing your life path through numerology, analyzing a double hour that you see all the time can help you to succeed and overcome the obstacles which are confronting you. It’s a message from your subconscious! Our subconscious makes up 90% of our being. Unlike the conscious mind we are unable to control it, it doesn’t have free will, and it works a bit like a computer. The conscious mind gives it a program to run but after that it is on autopilot. This explains why you will sometimes check the time unconsciously, because your subconscious has something it wants to tell you! You will have understood by now that a mirror hour can have several meanings and here we are going to give you more information about the double hour that you have seen. If you want to understand the meaning and the message behind a mirror hour simply go to the “Hours” section and choose the one which interests you. You will then be given a complete overview to allow you to discover its meaning with the help of angelology, numerology, and card reading. We will also publish many articles concerning the numerological study of the hours which will allow you to discover more about the reversed hours and triple hours.